In 2011, many Syrians took to the streets of Damascus to demand the overthrow of the government of Bashar al-Assad. Today, much of Syria has become a warzone where foreign journalists find it almost impossible to report on life in this devastated land. Burning Country explores the horrific and complicated reality of life in present-day Syria with unprecedented detail and sophistication, drawing on new first-hand testimonies from opposition fighters, exiles lost in an archipelago of refugee camps, and courageous human rights activists among many others. These stories are expertly interwoven with a trenchant analysis of the brutalisation of the conflict and the militarisation of the uprising, of the rise of the Islamists and sectarian warfare, and the role of governments in Syria and elsewhere in exacerbating those violent processes. With chapters focusing on ISIS and Islamism, regional geopolitics, the new grassroots revolutionary organisations, and the worst refugee crisis since World War Two, Burning Country is a vivid and groundbreaking look at a modern-day political and humanitarian nightmare. Robin Yassin-Kassab is a regular media commentator on Syria and the Middle East and the author of the novel The Road From Damascus (Hamish Hamilton, 2008) and contributor to Syria Speaks (Saqi, 2014). Leila Al-Shami has worked with the human rights movement in Syria and elsewhere in the Middle East. She was a founding member of Tahrir-ICN, a network that aimed to connect anti-authoritarian struggles across the Middle East, North Africa and Europe. It is true that … [the revolution] includes various factions representing the diversity of the street … but mostly the initiators are young and not influenced by ideology. They have no dogmatic concept of freedom but rather a realistic view which implies that the totalitarianism of the regime is the only obstacle to freedom. The Syrian revolution wasn’t led by a vanguard party and wasn’t subject to centralised control. It didn’t splinter, because it was never a monolith. It originated in the streets among people from all backgrounds. The plethora of initiatives that emerged organically to sustain the revolutionary movement were all the more astonishing given the absence of civil and political organisation before 2011. In the revolution’s first weeks, coordination committees or tanseeqiyat sprang up in neighbourhoods, villages and towns across the country.ii This was the first form of revolutionary organisation and would remain the nucleus of the civil resistance. ‘The tanseeqiyat were trust networks’, says Abdul Rahman Jalloud. ‘Just five or seven full-time revolutionaries in each neighbourhood, working in total secrecy, but linked up to other networks throughout the city.’iii They were usually formed by young men and women from the working and middle classes. Many quit their jobs or studies to devote themselves to the struggle. Their mission was to organise resistance in their local communities. They focussed on street action, preparing slogans and banners for demonstrations, barricading areas to protect protestors, and documenting events which they uploaded on social media. Over time their focus would turn to setting up makeshift field hospitals and collecting and distributing food and medical supplies to besieged and bombarded communities. As the uprising spread, the need for coordination among communities grew. Razan Zaitouneh and others founded the LCCs to link up small revolutionary units, to synchronise their political vision, to document the regime’s abuses and to convey information to the media. Their model of collective action and non-violent civil disobedience greatly influenced the revolutionary movement as a whole. There was no template. Each used whatever social tools they had, but each organised horizontally. Every decision was taken by vote. This ensured that everybody was aligned and on board, but it made decision making very difficult. As the committees spread we started dealing with people we only knew online. Revolutionaries from Deraa approached us – a young man called Alaa from Dael heard of Razan and started sending videos of what was happening there. Next, committees sprouted in Dael, in Tafas, in Deraa city. The same process took place all over the country. This meant that we didn’t know everyone involved; we couldn’t check them or trust them absolutely. This is why our political activity remained more centralised than we’d have liked. The LCCs promoted non-violent resistance and rejected sectarianism and foreign military intervention.vii Their civil disobedience attracted wide and diverse participation. In October 2011, for example, they joined, among others, the Syrian Non-Violence Movement, Nabd (Pulse), and the Syrian People Know their Way, to establish the Freedom Days collective which, in December, called for a ‘Dignity Strike’. Students, workers and small business owners participated. The LCCs documented more than 600 striking locations across ten governorates.viii In Damascus and Aleppo there were strikes at the universities and in the suburbs, but businesses and government offices in the city centre stayed open. i. Mazen Km al-Maz, ‘Horizons for the Syrian revolution’, anarkismo.net, 23 May 2011.
ii. A graphic mapping non-violent activities in the Syrian uprising in July 2013 listed 198 committees throughout the country. Some sources have listed more than double that amount. See, Syrian Nonviolence Movement, ‘Non-violence Map in the Syrian Uprising’, July 2013, www.alharak.org/nonviolence_map/en/# (accessed September 2015), which gives an excellent overview of civil activities in Syria. iii. Interview with authors, December 2014.
iv. Interview with authors, December 2014.
v. Interview with authors, December 2014.
vi. The National Coalition for Syrian Revolutionary and Opposition Forces, the umbrella group of the external opposition. vii. As the regime’s violence increased the LCCs’ positions changed to reflect new realities. They recognised the role of the FSA in defending Syrians and working to overthrow the regime, and following the 2013 sarin gas attacks, they hoped for air strikes on Assad. viii. For a round up (with video links) of some of the towns and cities which participated in the first day of the strike (it lasted over a week) see, LCC Syria, ‘Dignity Strike 11-12-2011’, www.lccsyria.org/3796 (accessed September 2015). Women throughout the world have always played their part in struggles against colonialism, imperialism and other forms of oppression. However, there are few books on Arab political prisoners, fewer still on the Palestinians who have been detained in their thousands for their political activism and resistance. 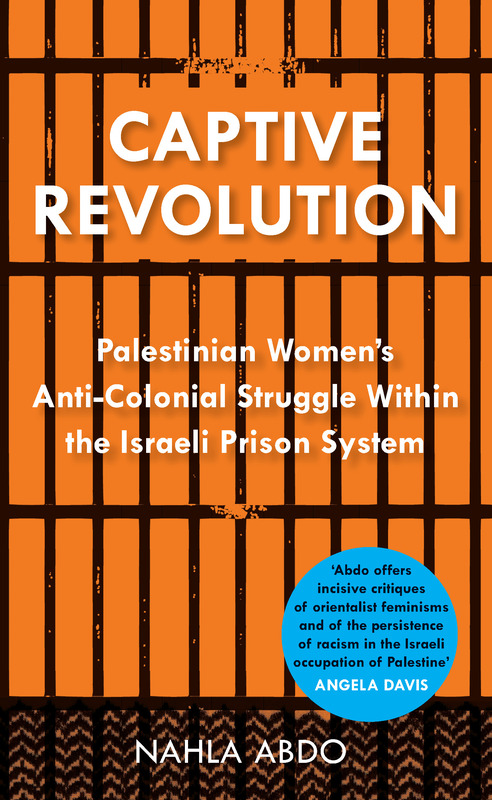 Nahla Abdo`s Captive Revolution seeks to break the silence on Palestinian women political detainees, providing a vital contribution to research on women, revolutions, national liberation and anti-colonial resistance. Based on stories of the women themselves, as well as her own experiences as a former political prisoner, Abdo draws on a wealth of oral history and primary research in order to analyse their anti-colonial struggle, their agency and their appalling treatment as political detainees. Making crucial comparisons with the experiences of female political detainees in other conflicts, and emphasising the vital role Palestinian political culture and memorialisation of the `Nakba` have had on their resilience and resistance, Captive Revolution is a rich and revealing addition to our knowledge of this little-studied phenomenon. Nahla Abdo is an Arab feminist activist, Professor of Sociology at Carleton University, Ottawa, Canada. She has extensive publications on women, racism, nationalism, and the State in the Middle East, with special focus on Palestinian women. Chapter 4 discussed the experiences of Palestinian women political detainees in Israeli detention camps and prisons. It focused on the cruel treatment female political detainees received at the hands of Israeli prison officials (such as interrogators, guards and wardresses). It also demonstrated that the targeting of Palestinian women’s bodies and sexualities constituted a primary goal for the Israeli prison authorities: inflicting utmost harm on women in order to force them to submit. This chapter, while focusing on women’s own perception and experience of challenging the prison and its darkness, argues that the policies and tactics used in Israeli prisons are aimed at intimidating, threatening and forcing Palestinian women to submit have not succeeded. Palestinian women political detainees have strongly challenged the authorities, defied their orders and resisted their victimization with special strength. This chapter will also account for the ways in which women dealt with and redefined time and space as well as the female body. Finally, it will follow the women after their release and record their experiences of ‘freedom’. Women involved in the armed struggle were well aware of the possibility of detention or imprisonment, as our conversations revealed, and were also aware of the challenges and torture they might face there – or even the possibility of being killed during their mission. Most if not all of them also admitted that they were ready, at least mentally, to face their interrogators. This was seen as an inevitable consequence of the struggle against colonialism and occupation. Facing the interrogator, challenging prison authorities and defying their orders and so on was not an issue of whether it would happen or not, nor ultimately of women’s perceptions of such possibilities, but rather was an issue of how women political detainees resisted and challenged the prison authorities. As discussed in Chapter 1, prison resistance on the part of female (and male) detainees was partly individual and partly collective in nature, with the individual form corresponding to the first stage of incarceration as women were on their own, largely in isolation cells. Collective resistance occurs at the second stage, after charges had been laid and women were held in shared rooms. Corresponding to the nature and forms of struggle and resistance in prison is the political and actual commitment and readiness by which women had joined the armed struggle and ended up in detention camps. This was evident in the different experiences of the women interviewed. There was a generational difference among the detainees in our conversations. For example, first generation political detainees (those detained in the late 1960s and early 1970s) exhibited a strong determination of resistance, which drew its strength from local, national and international experiences. Aisha, Rawda, Itaf and Sonia, for example, were closer in age to the Nakba and to the memory of it, memories that directly impacted on their growing up Palestinian. This generation was also exposed to organized training camps where they were introduced to international and regional revolutionary literature and to practical military training. In other words, these women were part of the revolutionary era of the time. This is not to say that the second generation political detainees, those who were incarcerated in the late 1980s, were not equally committed or sufficiently revolutionary in their thinking. As Ameena from this latter group stated: ‘I was ready for interrogation, I was aware of their methods of torture through adab al-sujoun [prison literature], especially the works of Felicia Langer [the Jewish Lawyer and supporter of the Palestinian struggle] and Walid Fahoum [the Palestinian lawyer, author and activist], as well as the experiences of ex-detainees’. However, the younger generation in this group was less exposed to organized revolutionary training. Let me tell you this: I was aware of their means of torture, especially sexual torture. At the age of 17, I read Lea Tsemel’s book on torture of Palestinian political detainees in Israeli prisons.1 I was also aware of the fact that they intentionally emphasized their use of sexual threats against us women, knowing we Arabs consider women’s sexuality a taboo. One of the interrogators sat me on a chair, opened my legs and put his legs between mine. He used to hold my hand in a sexual way. I never submitted and every time showed him he could not scare me. The first day, when I arrived at the detention camp in Ramla prison, I recall somebody knocked on our door. I opened the door … [a pause]. It was Aisha. She immediately said: ‘Ahlan wa-Sahlan [welcome], I smell, on you, the scent of Tayybe and Deir Jrir!’ [these are two neighbouring villages in Ramallah district: Rawda came from the former and Aisha from the latter]. For me, Aisha was a role model. I was young [15 years old] when Aisha was arrested. I remember how angry I was when they [the Israeli occupation forces] destroyed her [family] home. At the time I wished it was my house instead of hers. Ever since we were young, Aisha has been considered a role model for the whole village. I remember a blind man who used to go around the village every day speaking highly of Aisha. He would say: ‘This is the very first girl to leave the village to the town for education.’ In my mind Aisha represented a role model as she signified the strong Palestinian woman. We followed her story while she was in prison, read about her in the local papers, and heard about the torture she underwent as well as the resistance she put up against the interrogators. I expected to see her totally broken from the torture she received. But when I arrived at the prison and saw her for the first time, I found this blond, beautiful-looking woman to be full of life. Along with Aisha, I also met Sonia: a funny and witty woman. These women made it easy for us, the new comers, to accept ourselves, survive the prison and resist as well. Rawda’s experience was particularly telling not only at the political national level and the extent to which Palestine, in this case, the village of ‘Deir Jrir’ was ingrained in the conscious of the political detainees, but at the social level as well. Despite the traditional environment of the Palestinian village that tended to limit women’s mobility, Aisha’s incarceration, we learnt, was not condemned, but rather was condoned and discussed positively by younger women outside of the prison. Whether belonging to the first generation of women fighters or the second generation, all the women political detainees in our conversations spoke of their strong resilience and resistance while in the Israeli prisons. They resisted as individuals while facing their interrogators; they also resisted collectively using different techniques, including the organizing and staging of hunger strikes and protesting work conditions and conducting work stoppages, among other methods. On the question of work stoppage, Munia commented: ‘on all Israeli independence days, we would stop working in the kitchen and go on demonstration protesting their independence and our colonialism.’ Salwa and her comrades in prison refused to work in the factory. According to her: ‘They wanted to force us to work in the factory for soldiers’ clothes, but we refused. As a result they punished us, took away our books, pencils and notebooks. In turn, we held a strike for 15 days’. In the following sections, accounts of acts of individual and collective resistance on the part of Palestinian women political detainees will be discussed. Mainstream nationalist narratives and political movements have dominated the Israeli-Palestinian situation for too long. In this much-needed book, Ran Greenstein challenges this hegemony by focusing on four different attempts which stood up to Zionist dominance and the settlement project before and after 1948. In Zionism and its Discontents, Greenstein begins by addressing the role of the Palestinian Communist Party, and then the bi-nationalist movement, discussing Palestinian Nationalist movements including the PLO. Finally, he confronts the radical anti-Zionist Matzpen tendency, which operated from the early 1960s and which still continues to this day. In addition to analyses of the shifting positions of these movements, Greenstein examines perspectives regarding a set of contemporary conceptual issues, which bring the book up to the present, including colonialism and settlement, race/ethnicity and class, and questions of identity, rights and power, and how, such as in the case of South Africa, these questions affect us all. Ran Greenstein is Associate Professor at the University of the Witwatersrand, South Africa. He studied at the University of Haifa and the University of Wisconsin-Madison. He is author of Genealogies of Conflict: Class, Identity and State in Palestine/Israel and South Africa (1995), and editor of Comparative Perspectives on South Africa (1998). Read an interview with the author on Jadaliyya. In its early days the Party sought to reconcile lingering attachment to its roots in the Zionist labour movement with its wish to join the Communist International (Comintern), which was formed in 1919. Operating initially under the name Socialist Workers party – MPS in Hebrew – it emerged from a split off the local branch of the Poalei Zion movement, when most of its members joined other activists to form Ahdut Ha’avoda (Unity of Labour). Headed by David Ben-Gurion and Yitzhak Ben-Zvi, this new party was committed above all to the realization of Zionist constructive principles – conquest of land and labour, settlement on the land through cooperative work – and rejected any attempt to dilute these principles in the name of broad socialist commitments. The MPS, in contrast, adhered to global revolutionary principles and saw itself as part of a vanguard of Jewish socialists with an overall mission not restricted to Palestine. Although settlement in Palestine remained a crucial principle for it, the Party saw the interests of the Jewish proletariat as far-reaching in scope, based on an understanding that the bulk of Jewish workers would continue to live and organize in Eastern Europe for a time to come. In response, Michael Cohn-Eber, a representative of the MPS and of the left-wing of Poalei Zion, said that his movement merely demanded the opportunity for Jews ‘to emigrate and to colonise this country [Palestine] as long as it is in the hands of the British or any other bourgeoisie’. This was part of the worldwide movement of Jews towards becoming productive and emigrating from their countries of present residence, and intervention was needed ‘in order to regulate the emigration and the colonising activity of the Jewish and every other proletariat’. In that way the process would be carried out ‘in the framework of the rational use of the natural resources in the lightly populated colonial countries and the appropriate application of the hitherto unused or very badly used human labour power in industry’. The strange choice of language was due to Poalei Zion’s theory that Jewish immigration was spontaneously directed to Palestine through economic rather than religious or nationalist motivations. Cohn-Eber went on to argue that the MPS was ‘the only proletarian communist group that fights British imperialism under the most difficult conditions and has the task of leading the working masses of the Arabian Orient in this struggle’. This leading role is due to the fact that ‘just as the Jewish bourgeoisie was the first to introduce modern capitalist economic forms of exploitation into the country’, so too are the Jewish immigrant workers the only modern, truly property-less proletariat which is for that reason filled with class consciousness and inspired by the revolutionary will to fight.. The Arab masses who work on the estates of Jewish landlords and Arab effendis usually possess their own land and can only be characterized as semi-proletarians. Their natural champion which has to draw them into the revolutionary struggle and fill them with proletarian consciousness is our party there [MPS] which, true to the principles of the Communist International, has carried out very lively revolutionary propaganda among them. There is little need here to comment on the many problematic assumptions hidden in this text, except to note that they reflect Eurocentric prejudices common at the time, even among socialists, and attempt to use these to appeal to gullible comrades in order to deflect criticism.iv That was to no avail. Disparaging Arab nationalist forces as reactionary and counter-revolutionary Bedouins and feudal lords who prey on the peasant population, and glorifying the contribution of Jewish activists, who had nothing to do with the Arab masses yet were their ‘natural champion’, was an attempt to portray Jewish socialists as a revolutionary vanguard. But, it ignored the colonial context within which they operated. The Comintern leaders were not well informed about Palestine, and their approach was indeed critical of nationalist forces that failed to adopt a clear revolutionary programme. Yet, they did know that Jewish immigrants – including the socialists among them – moved there under British protection as part of the Zionist movement’s efforts to settle the country. As a result, the Comintern declined to make any distinction between ‘bad’ bourgeois and ‘good’ proletarian Zionism. i. ‘Conditions of Admission to the Communist International’, 6 August 1920, in The Communist International 1919–1943, Documents, Vol. 1: 1919–1922, edited by Jane Degras (Oxford University Press, 1956), p. 170.
ii. ‘Theses on the National and Colonial Question’, 28 July 1920, in Degras, The Communist International, p. 144.
iii. The protocol of the discussion on Zionism is found in www.marxists.org/history/international/comintern/2nd-congress/ch05.htm. iv. On Orientalist assumptions see Avner Ben-Zaken, Communism as Cultural Imperialism: The Affinities Between Eretz-Israeli Communism and Arab Communism, 1919–1948 (Resling, 2006), in Hebrew. There are vast swathes of people in economic migration across the Gulf states today. In total, Saudi Arabia, Kuwait, Bahrain, United Arab Emirates, Oman and Qatar form the largest destination for labour migration in the global South. This book studies the impact of this mass migration, and its effect on citizenship and workers’ rights. Transit States considers how the transitory labour power these workers provide creates an extraordinary development boom that impacts neighbouring countries. The majority of the working population is therefore composed of migrant workers with no citizenship rights. The Gulf takes a central place in growing debates around migration and labour in the global economy. Transit States confronts the precarious working conditions of migrants in an accessible, yet in-depth manner. Abdulhadi Khalaf is a senior lecturer in the Sociology department at Lund University. He is regarded as a specialist in the politics of the Gulf Arab States. Omar Al-Shehabi is director of the Gulf Centre for Development Policies in Bahrain. He has previously worked at the World Bank and the IMF as well as McKinsey & Co.
Adam Hanieh is Senior Lecturer in Development Studies at the School of Oriental and African Studies, University of London. He is author of Capitalism and Class in the Gulf Arab States (2011) and Lineages of Revolt: Issues of Contemporary Capitalism in the Middle East (2013). In December 2013, the ILO and the EU launched a €2.4 million project, entitled Promoting Effective Governance of Labour Migration from South Asia, which aimed at reducing abuses by recruitment agencies and providing more reliable information to prospective workers from India, Nepal and Pakistan about working conditions in the Gulf (ILO, 2013b). Efforts such as these have been useful in raising international awareness about the conditions of migrant workers in the Gulf. The growing campaign around Qatar’s treatment of migrant workers indicates that these campaigns do have a real impact, helping to draw together public support and placing pressure on both sending and receiving countries to address the abuses associated with migrant work in the Gulf. At the same time, however, it is important not to overlook the various struggles and actions of Gulf migrant workers themselves. As John Chalcraft has argued, much of the literature on the Gulf has ignored this agency, preferring instead an approach that makes ‘the profoundly unequal and consequential control over persons, their livelihoods and social and political relations, appear merely as the neutral and technocratic management of things … They have done little to illuminate, except as primary sources, the political role played by migrants in the changing fate of monarchies in the Gulf’ (Chalcraft, 2010: 2). The dominant approach tends to discount – or in many cases simply ignore – the fact that migrant workers in the Gulf continue to organise, protest and engage in a variety of different strategies of resistance, despite the very substantial barriers to such actions described throughout this book. There are increasing signs that such struggles are gaining traction. Throughout 2013, there were several examples of migrant labour disputes in the GCC, belying the claim that migrant workers can be simply reduced to a dormant and passive body of labour. These included a strike by Nepalese workers in Sitra, Bahrain, following a death by suicide of a 22-year-old worker on 23 August (Migrant Rights, 2013), a strike of up to 10,000 South Asian workers in Oman in March, in protest of poor safety conditions and the death of an Indian worker on the job (Al-Akhbar, 2013a), and a demonstration in October by over 1,300 Ethiopian nurses in Kuwait, who were challenging non-payment of salaries and racial discrimination in wage levels (Migrant Rights, 2014). Perhaps the most significant protest action – in terms of size, breadth and strategic location – was a four-day strike in May 2013 of thousands of workers employed by Arabtec, a major UAE construction company with close links to the Emirati ruling family and part of the consortium thatbuilt Dubai’s Burj Khalifa, the world’s tallest building. The striking workers were demanding that their US$95 dollar monthly food allowance be paid as part of their wages rather than provided in-kind through the company (construction workers in the UAE typically earn a monthly salary of no more than US$245, and often much less) (Al-Akhbar, 2013b). The strike was particularly noteworthy because it involved workers from different building sites spread across Dubai and Abu Dhabi, and thus illustrated a coordinated campaign of workers – a rarity in the Gulf where protests tend to be confined to specific worksites. The response of both the company and UAE authorities to the strike was predictable, with a police spokesperson commenting to a local newspaper that UAE law ‘does not allow [workers] to have a leader or make a strike’ and an Arabtec representative claiming that ‘unwarranted stoppage has been instigated by a minority group who will be held accountable for their actions’ (Kannan, 2013). The reality behind these threats was soon made clear, with 43 workers given deportation orders and forced to return home as a result of their involvement in the strike. The removal of these perceived ‘trouble makers’ in the wake of the strike was a powerful reminder of the social control enabled by the transient nature of labour in the Gulf. Precisely because of the connection between a fixed work contract and residency rights, codified in the kafala system, and the lack of any labour rights or practicable route to citizenship, the strike illustrated once again the vastly unequal power relations between employers and migrant workforces in the Gulf. The question of ‘what can be done’ also needs to take into consideration the fact that the Gulf’s working classes are highly mobile subjects spread over numerous borders. This fluid and transient existence means that class formations in the Gulf need to be viewed outside of a methodologically nationalist frame – implicating millions of past, present and future workers across neighbouring countries. This transnational nature of class points to the potential impact that cross-border labour organising may have on challenging the highly unequal power relations in the Gulf. While these transnational actions remain weak and underdeveloped, there are some indications that regional and international organisations are beginning to place more emphasis on linking migrant work forces in the Gulf. In South Asia, for example, several NGOS have launched campaigns to pressure their governments to take a more proactive stance towards their citizens in the Gulf. These NGOs include the Nepalese Pravasi Nepali Coordination Committee (PNCC), which has played an important role in documenting and campaigning around recent Nepalese worker deaths in Qatar, and Lawyers for Human Rights International (LFHRI), an organisation based in India that has supported Indian migrants imprisoned and tortured in the UAE. In the Philippines, Migrante International, an alliance of Filipino migrant workers, has played a key part in advocacy for the conditions of Filipino migrants across the world. Migrante now has an office in the UAE, from where they provide legal advice, shelter, counselling and other services for victims of employer abuse, particularly domestic workers. One of the key thrusts of Migrante’s campaigning work is its emphasis on challenging the structural causes of underdevelopment in the Philippines that drives migration in the first place, and forces migrants into the vulnerable and highly exploitable situations such as those found in the Gulf. As the organisation noted in a statement released on the occasion of the 2013 UN High Level Dialogue on Migration and Development, ‘Filipinos are pushed into migration due to unemployment, declining wages and increasing costsof basic services from privatisation and public-private partnerships (PPPs) … The lack of development of the [Philippine] economy, resulting in high unemployment and low wages, means that Filipinos are trapped in cycles of migration generation after generation with no long term solution’ (Ellao, 2013). Migrante’s approach highlights the importance of addressing the root causes of migration within any cross-border campaign to improve the conditions of workers in the Gulf; an orientation which US immigrant rights activist David Bacon has called ‘the right to stay home’ (2013). Running against the grain of international lobbying efforts that view foreign embassies and source-country governments as allies of migrant workers, Migrante places a sharp emphasis on the complicity of the Philippines government in the mistreatment of migrant workers in the Gulf. Migrant work is an important source of government revenue (from the fees charged to overseas workers) and also helps to divert domestic attention from the poor living standards in the Philippines itself (Ellao, 2013). As a result, Migrante believes that the government has sought agreements with many countries in order to ‘facilitate the sending of more OFWs [overseas foreign workers] as cheap labour’ and shows little interest in standing up for improved working conditions that may imperil these labour flows (Ellao, 2013). This critical standpoint is also borne out in the case of the Indian government, which recently accused Indian women workers in Saudi Arabia of ‘nefarious attempts’ to organise a strike that would ‘spoil the goodwill that exists for Indians in Saudi Arabia’ (The Economic Times, 2014). Much like labour, capital accumulation in the Gulf is also highly transnational, meaning that international solidarity that confronts corporate complicity can present a potentially powerful tool in tackling the exploitation of migrants. A recent example of this is the innovative campaign launched by prominent artists in solidarity with workers at Abu Dhabi’s Saadiyat Island (Island of Happiness), a massive development project projected to cost US$27 billion that involves the construction of museums, hotels, resorts, golf courses and housing for more than 125,000 residents. The artists’ campaign targets global art institutions collaborating with projects on the Island, including the Guggenheim Abu Dhabi, Louvre Abu Dhabi and the Sheikh Zayed National Museum (built in collaboration with the British Museum). As part of their actions, the artists have staged demonstrations at the Guggenheim New York and launched Gulf Labor: 52 Weeks in October 2013, a campaign that features a specially created piece of art, or text of a related action or event, by a different contributor each week for the coming year.3 The campaign has prompted the Guggenheim torespond publically to the allegations of poor worker conditions, and led the Abu Dhabi Tourism Development and Investment Company (TDIC) – the state-run master developer for all of Saadiyat’s major construction projects – to publish a new Employment Practices Policy that promised to prohibit employers from withholding wages and passports, outlaw the collection of recruitment fees and other relocation costs and improve the housing conditions for workers. TDIC also committed to hiring the accounting firm PricewaterhouseCoopers to conduct annual compliance audits of working conditions on Saadiyat. One of the problems, however, faced by all of these campaigns – from Qatar’s World Cup to the Guggenheim in Abu Dhabi – is the weakness of regional Arab labour and social movements. As this book has noted, the structuring of migrant labour in the Gulf is not solely a question that affects migrant workers and the ordinary citizens of these states, but one that impacts the entire region. Despite this fact, there have been very few Arab voices raised against workers’ conditions in the Gulf. Cross-regional solidarity – based around the kafala system, the right to organise, labour conditions and, ultimately, extension of the rights of citizenship – could help dramatically transform the situation faced by workers in the Gulf. Migrant workers need to be seen as allies and an integral part of the Arab world – not disposable bodies that can be sent home when no longer needed.